There’s some clarifications I want to make to some of my assertions in a previous post. I don’t advocate anyone become a single issue voter, if that’s not their inclination. We certainly do have single issue gun voters out there, and I think that’s fine too, but to me what goes on inside the voting booth is not really any of anyone else’s business. My fatalism that perhaps there’s no way to avoid the circular firing squad stems from what people who have a voice in this issue say publicly where the political establishment is watching (and they do watch, even this far off corner of the Internet). It is a real problem when one group endorses one candidate, and another group endorses another candidate, and is very public about it. It’s going to make the political establishment, who for the most part don’t care about your pet issue (whatever that issue is), question whether your vote is reliable. It essentially destroys the value of both groups endorsements, when they publicly endorse against each other in the same issue. I don’t think that’s a positive thing, but I don’t know whether it’s a solvable problem. If one group stands back and lets the other group marginalize its endorsement, for fear of the metaphorical circular firing squad, there’s a real risk of candidates believing that the group isn’t willing to stand up for its endorsees. If it fights back it’s undermining the other group, and raising the public profile of the argument, and increasing the chance it’s going to be noticed. I don’t expect everyone is just going to line up behind NRA’s endorsements. Obviously people have issues with them, especially this election, but it’s been my contention that their issues have nothing or next to nothing to do with the Second Amendment. It is my sincere belief that most of these groups which involve themselves in electioneering are taking advantage of the anti-incumbent public mood in an attempt to boost their stature within the conservative movement, and feather their own nests. NRA, at least publicly, has taken the position it’s a Second Amendment advocate only, rather than a conservative advocate. In truth, I think NRA as an organization is deeply conflicted about this as much as the movement is as a whole. But this may not be an issue after Tuesday. When many blue dog Democrats are swept away, and all that remains is the left, there’s a very good chance that the bipartisan era of the Second Amendment will come to an end. Conservatives will have the NRA back as a conservative organization. The real shame, I think, is that I believe that’s ultimately bad for the Second Amendment. While I agree with your sentiment, I think the idea of leaving these Democrats in office when they knowingly passed laws their constituents didn’t want, simply because they were directed to follow an agenda, or because they tried to funnel more federal dollars their way,is extremely distasteful for some. I believe the 2A/RKBA effort is one of the most noble and right causes we have here in America, but sometimes, other issues require us as citizens to do our civic duty and take the trash to the curb. The bipartisan makeup of 2A support will most assuredly swing to the right after tomorrow, and your point is one of concern if it swings too far to the right. However, the flip-side to that coin, namely swinging to little, will present another problem for those interested in more balanced representation: that politicians all over the US will believe that they can abuse our system of government to near destruction, and then seek cover under 2A issues. That might be great for the single-issue voters, but from a broader view that creedo will be just as destructive. This is a symptom, not the disease. We are in the end phase of the takeover of the Democrat party by leftists who are not concerned with the needs and desires of the regular voter. They reflect the concerns of the elite. The “elite” wants guns gone. Voting for a pro-gun Democrat is voting for national apparatus which will work to destroy my rights, both gun and every other kind. They would like to tell me how to live. As for Chucky Shumer, bring him on. We’re in a great position to have this battle. We have two major wins at the Supreme Court and huge majorities of the public are on our side. If there is to be war, let it happen now, let it happen here. Let’s get this settled so we can move on to better things. We are also seeing the takeover of the GOP by a radical group that is pushing the interests of the ultra-wealthy and large corporations over the middle class. Where the hell do you get that garbage from? The takeover of the GOP is being done by Americans that have real conservative/constitutional beliefs. It looks to me like you’ve got your lips around a jug of liberal kool-aid. Wait – what? The GOP is being taken over by mega-corporations and the ultra-wealthy? You mean like Gates and Buffett (both Democrats), or by Apple, Microsoft, Goodle, BP, BofA, Goldman Sachs, and other Fortune companies who donate more to Democrats than Republicans? Not to mention most of Hollywood and the MSM. If this were true, wouldn’t the Republicans have FAR outspent the Democrats in this (and every other) election cycle? Yet, the actual numbers, not to mention FEC disclosures, indicate quite the opposite. Sebastian, the NRA, by definitition, is conservative. It aligns naturally with conservatives because it’s very mission is conservation of our 2A rights. My liberal readers coming on to take issue with that in 5… 4…. 3…. 2…. That’s funny Blindside, I’m a liberal, a gun owner and an NRA member. I guess I didn’t get the memo that I’m not allowed to support the 2A unless I was a conservative. Didn’t know you guys owned it. Gentlemen, if I may opine, defense of the right to bear arms is defense of the strict construction of the Constitution, which is a conservative position. The purpose of the Second Amendment (and all of the Bill of Rights) is to limit Federal power. protect State sovereignty, and secure individual liberty from federal intrusion – all conservative positions. Guns in the hands of private citizens are a designed threat to federal over-reaching (“usurpation”) and over-regulating (“tyranny”) of our lives and fortunes – both of which are liberal pursuits – and therefore a designed threat to the liberal agenda of federal control over our private lives. While I truly appreciate Guav’s fellow-support for my right to limit federal power by threat of armed resistance (the main purpose of the 2A), it is clearly a conservative position and anti-thetical to the entire liberal agenda. Chamberedround explained the paradox best: liberal politicians who suppport the 2A do so simply for cover – Clinton discovered that necessity in 1994. I don’t believe it is a true conviction, just an expedient one. Guav, your pro-gun stand is appreciated, but your vote, I fear, will only serve to undermine the very liberty you and I cherish. That’s a bit of an oversimplification of the 2A, claiming that it’s only intended to prevent tyranny and government overreach (which apparently is the entire “liberal agenda”). Many of the Founding Fathers had no trust in a standing army and the plan was to not have one at first, and local militias would be called up in time of war. The 2A was written not just to prevent government tyranny—although that was certainly a large part of its intent—but also so that people could keep arms in their homes, as members of the local well-regulated militias were expected to provide their own weapons, provisions and mounts in time of need to protect against foreign invasion, uprisings, robbers or marauding indians. It was an individual right so that the people would have the necessary tools to defend themselves and their community whenever needed against those things. And yes, to prevent government tyranny. But I understand why people who think a democratically-elected president passing legislation he campaigned on is “tyranny” might think liberals support tyranny—so I guess in that sense I see where you’re coming from, but it seems like many conservatives might be confusing “tyranny” with “losing an election,” especially since almost nobody raising a stink today had anything to say about “government overreach” and “tyranny” when Republicans were running the show (and driving the country into the ground). But no, liberals do not support tyranny—which has an actual definition much more serious than “passing some legislation I don’t like,” so I don’t find it contradictory at all for liberals to support the 2A, since we oppose actual tyranny as well. Unfortunately, I’ll admit, many liberals lose the ability to think rationally and consistently when it comes to the issue of the 2A, though they seem to do fine with the other amendments. The best way to strengthen the 2A is to get more liberals on board with it—and the NRA—not to say “Stay away, it’s mine!” like a spoiled baby and tell liberals they can’t have it. Arnie, from my reading of your comments, you misunderstand my post. I never said that liberals use the 2A for cover, although many do. My comments were directed more towards Sebastian’s claims that if this election swings too far to the right, he fears the 2A will cease to be a bipartisan issue. I sympathize with his concern, and tend to agree with him. However, my statement was meant to balance his opinion by saying that there should be just as much concern if this election doesn’t swing ENOUGH to the right. That danger is that all politicans, R, D, and I, will start to think that as long as they appear to take a pro-gun stance, they can do anything they want on any other issue. While single issue voters on the 2A/RKBA will be OK with such a result in the short term, it damages our ability to show that we can turn out the vote, and in the long term it hurts the Republic as a whole. Depends. If there are no new gun laws, and no repeal of any gun laws, is that a good thing or a bad thing? Just as the anti-gunnies are disappointed now after their big win in 2008, I think pro-RKBA folks will be disappointed by the next two years. From tomorrow until 2011, Congress won’t care about RKBA. The only action will be if the Supreme Court decides to hear another case. Arnie – Good comment, I agree. To me, the Bill of Rights is a matched set that cannot be broken up. I see liberals who claim to be pro-2A but support prohibiting politically incorrect speech, liberal use of eminent domain, double-jeopardy prosecutions, and massive Federal legislation that tramples the Ninth and Tenth Amendments into the dirt. Folks who just kind of like guns but have no interest in otherwise restraining the power of government are unprincipled and therefore unreliable allies. I see the 2A as an index issue, an “indicator” issue. This works well for assessing candidates, but not perfectly. A candidate’s positions on the 2A speak volumes about the closely correlated probable positions on other issues key to constitutional, limited, self-government. A candidate against say, for example, the right to carry a handgun, is accurately predicted to be on the wrong side of so many other liberty-related issues. However, a candidate’s solid voting record on one issue may belie a worldview hostile to liberty. Voting right on specific gun legislation counts for very little if the same candidate is going to confirm a Supreme Court nominee who would eviscerate the RTKBA. A single-issue organization may be led by all of the legislative action into overlooking the bigger picture: the longer-term destruction of their cause by cynical, lying candidates. The 2A is about arms, but not just about arms. It’s about freedom. Really, at this point in American history, no politician valuing the Constitution and valuing liberty should be a Democrat. Maybe not a Republican, either, but certainly not a Democrat. The Blue Dogs must quit sitting on the fence. Just why are you Democrats, anyway? 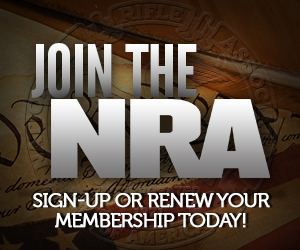 Many of us are lifelong NRA members. NRA, listen up. Reconsider your endorsements because we are unsatisfied with little anti gun-control crumbs. We want liberty, in its fullest expression. Then, our RTKBA will be safer. Never secured. Safer.